Home / AMU News / AMU Students Team EDocto Selected In Top10 Business Plan of ESummit'17 IIT Kanpur. AMU Students Team EDocto Selected In Top10 Business Plan of ESummit'17 IIT Kanpur. Mr. Tahir Ahmad and Ashar Shahid, students of BTech Computer Engineering (Final year), Aligarh Muslim University presented their business plan EDocto in ESummit'17 organized by IIT Kanpur on 3 Sep. Their business idea got selected in Top10 ideas came across the country. Currently, They are developing their proposed product under the guidance of Ale Imran sir, Assistant Professor, Electronics Engineering and Coordinator of Entrepreneurship Development Cell, ZHCET. He said the prototype of EDocto is ready now and Seed Funding is required to develop the market ready product. Edocto is a complete fitness monitoring system combining a device and a mobile application. Most of the people are obese in India. To become fit, proper diet and balanced nutrition are very important which needs the proper nutrition tracking system. There is no solution Available for this nutrition tracking. We are developing an app based on image processing and AI Technology which would take a snapshot of your daily nutrition intake and update it into your profile. And automatic suggestions would be provided to improve your health using AI. 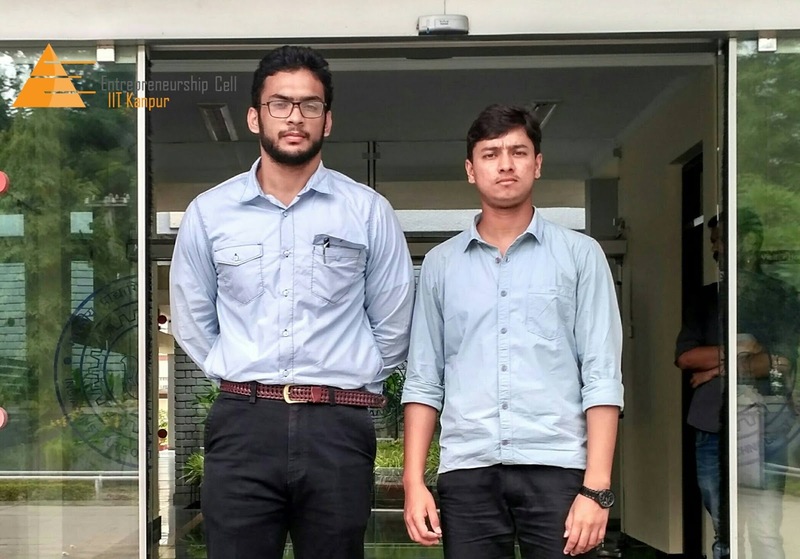 Tahir Ahmad asked the principal and alumni to give financial support for the incubation of his product so that he could accelerate the product development and become AMU's first startup.